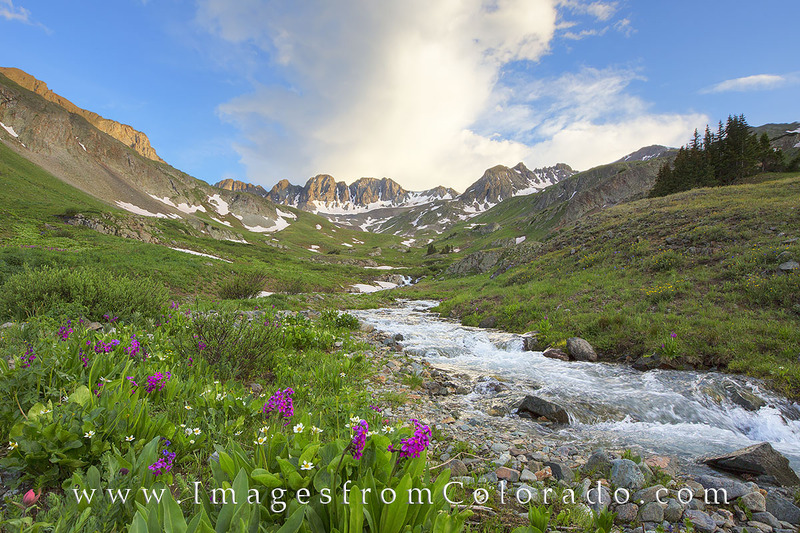 American Basin near Lake City is famous for its summer wildflowers. However, the road to this point is famous, too - for being in pretty poor condition. The first 16 miles as you head west out of Lake City are navigable in any car. The last four miles are rough and a 4WD is very much needed. Still, when you are surrounding by the San Juan Mountains in all directions and a valley of Colorado's most colorful wildflowers in a lush valley, the trip here is worth the effort. Photo © copyright by Rob Greebon.